Agencies & Facebook Pages: How to Reach More? Maybe you are a digital marketing agency (or social media agency, advertising agency PR agency, media agency, content agency, perhaps a freelancer), managing Facebook Pages for a large number of clients. You want to deliver results (reach, engagement, traffic for websites), but without additional paid promotion, you are not going to do very well. Facebook will start “helping you” after you start boosting Facebook posts or working with Facebook advertising via Facebook Ads Manager or Power Editor. And even after you decide to start boosting posts, you can not be sure that the results will be as desired. Some time ago, Facebook disabled the “Boost every new post” option, so you’ve been forced to turn on and off ads for every single post manually. And if you wanted to do it a bit smarter, you had to dig deep into Facebook Insights to see, which posts are worth boosting and which are just not worth it. Doing that for every post, comparing results and turning off boosting for the older less performing ones is just not what you like to spend your time with. It’s more likely that you would want to make better content or try communicating directly with fans. 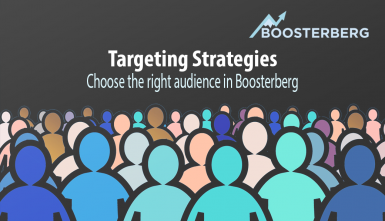 Once you discover Boosterberg boosting tool, all of these specific issues will disappear. Auto-promoting every new post of a selected Facebook page is just the beginning. With the smart algorithms, you will be able to boost Facebook posts showing better performance than others. 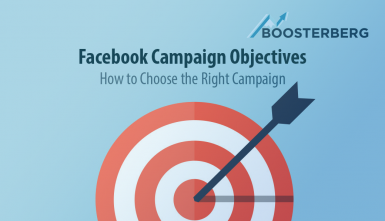 By choosing from various metrics like Organic reach, Engagement of the post or specific post keywords, you can cover all of your boosting needs without spending hours analyzing and deciding how to use your Facebook budget in the most reasonable way. 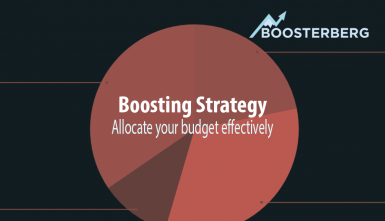 According to our experience, you typically save around 90 % of your time that was spent dealing with “one-by-one” boosting before. And the best thing is that Boosterberg will do all this for you every day. Just set up your desired success conditions at the beginning, sit back and enjoy the power of automation. Try our 30-days FREE trial now!